You have your own boiler, gas central heating or underfloor heating? 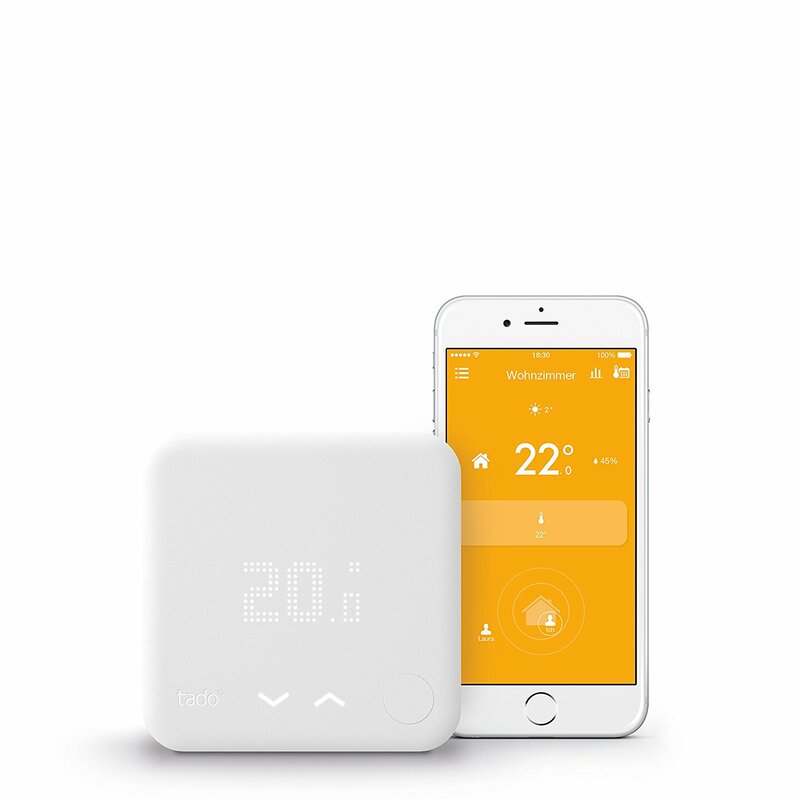 This tado° Starter Kit helps you to save up to 31% of your heating bill and makes your life more comfortable. The Smart Thermostat uses your phone’s location to automatically control your heating, ensuring no energy is wasted.The smartphone app gives you full control over your heating wherever you are. Works with 95% of heating systems. You can easily install the Smart Thermostat yourself. Simply replace your existing wired room thermostat. Our online installation service gives you detailed step-by-step instructions for your heating system. 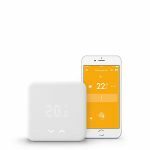 The tado° thermostats are now smart home compatible – Amazon Echo, IFTTT, etc. for voice control and automated scenarios. | Free app for iOS, Android, and Windows. Enjoy a risk-free trial now! If at any point you are not convinced, or tado° hasn’t saved enough during the first year, you may return the product and get a full refund. For further questions visit the tado° website. Very reliable. The presence detection actually works with the Tado. I’ve used some systems where this doesn’t work at all. Installation was quick and the company was very helpful with my questions. I love the design and intuitive function—it’s so easy to use! I’ve been tracking my savings and since purchasing the tado, it has made a huge difference in managing the heating in my house. I can manage everything from my phone. I did have it installed for me, since I’m not super tech-proficient, and it went very smoothly. I suppose there are so many options out there today, but I’d definitely recommend tado to anyone in the market for a smart thermostat.